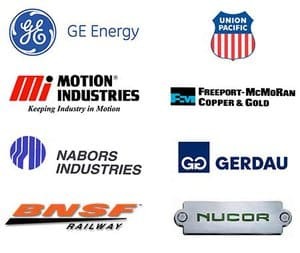 HUWAU Brakes is the globally largest professional manufacturer of industrial brake,wind proof device and electro-hydraulic driving equipment since 1992 and owns the top market share in professional industrial field. HUAWU products are widely used on port,metallurgy,hydraulic structure,railway,vessel,hoisting transportation and other industries and exported to more than 100 ports and wharfs of five continents in the world.At the new HUAWU after got listed since 2010, we are more passionate about designing, testing, creating and selling the world’s best brakes. This vision unites us as a team each and every day and is the hallmark of our customer-driven culture. Leading the way is our seasoned leadership team who set high standards for our company so that we can give you the best brakes. This means that we are committed to delivering transmission system accessory with fantastic technology, flawless quality and reliability, and leading safety and infotainment features. Making the world’s best brakes can only happen with the world’s greatest employees. We take great pride in our work, and take great care to deliver exceptional brakes and a positive ownership experience to our customers around the world. At the new HUAWU , we make a strong commitment to our customers, employees, partners and other important stakeholders. YP Series Electro-hydraulic Disc Brakes are advanced products with high performance and multiple functions.They are maintenance-friendy due to advavance functions applied on them such as automatic shoe clearance balancing and wear-self compensation device.Various limit switches can provide interlocking protection signal to main machinery PLC.They fit very well for decelerating and stop/braking large-scale modern machines such as loading and unloading machinery,lifting and transporting machinery,metallurgy equipment and mining equipment. YP Series Electro-hydraulic Disc Brakes are advanced products with high performance and multiple functions.They are maintenance-friendy due to advavance functions applied on them such as automatic shoe clearance balancing and wear-self compensation device.Various limit switches can provide interlocking protection signal to main machinery PLC.They fit very well for decelerating and stop/braking large-scale modern machines such as loading and unloading machinery,lifting and transporting machinery,metallurgy equipment and miningg equipment. 5.Brake linings are plug-in style,which are easy to replace.Brake linings of various materials such as power metallurgy and semimetals(non-asbestos),which are suitable for different working conditions.Equipped with our new thrusters: Swift reaction and having long life-span. ●Release limit switches which can indicate signals such as whether brake is properly released or provide interlockingprotection. ●Lining wear limit switches can automatically indicate alarm signal or provide interlocking protection when wear of brakelining is reaching the limit. 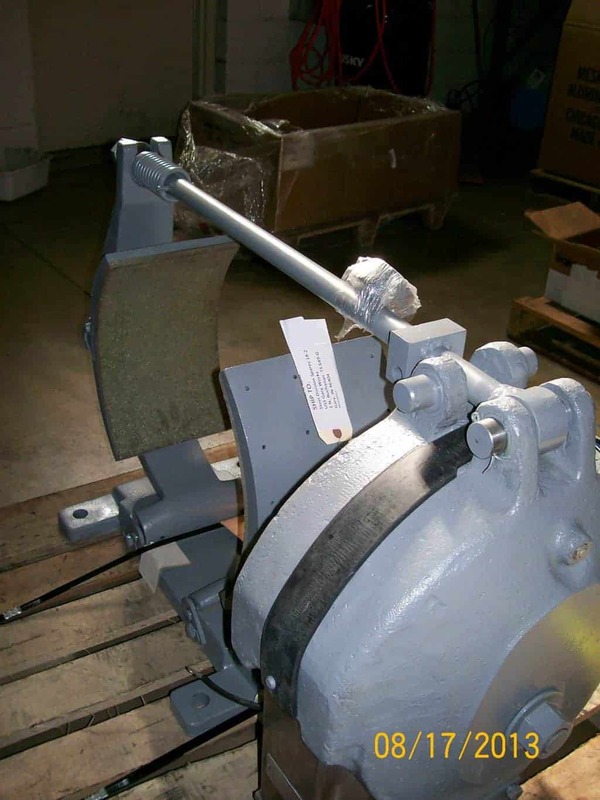 YP1LZ series electro-hydraulic disc brake is a special brake, mainly used for anti-sway device of container crane spreader hoisting mechanism. ■For two steps braking, the first brake torque is always established, and acted on the disc for absorbing the swaying energy. The secondary braking is for decelerating and stopping braking. ■At the main hinged points are equipped with self-lubricating bearings, lubricating is unnecessary during the course of operation; with higher efficiency of transmission and agile action. ■Limit pads wear self-compensation device, brake torque is kept constant during operation, free of the trouble to adjust regularly. ■Adjustable torque inner spring, the secondary torque is set torque scale . ■Brake lining is of the insert structure,which is easy and quick to replace.Equipped with good power metallurgy lining. ■Our company’s new types of thrusters are adopted, which work acutely and have long life. 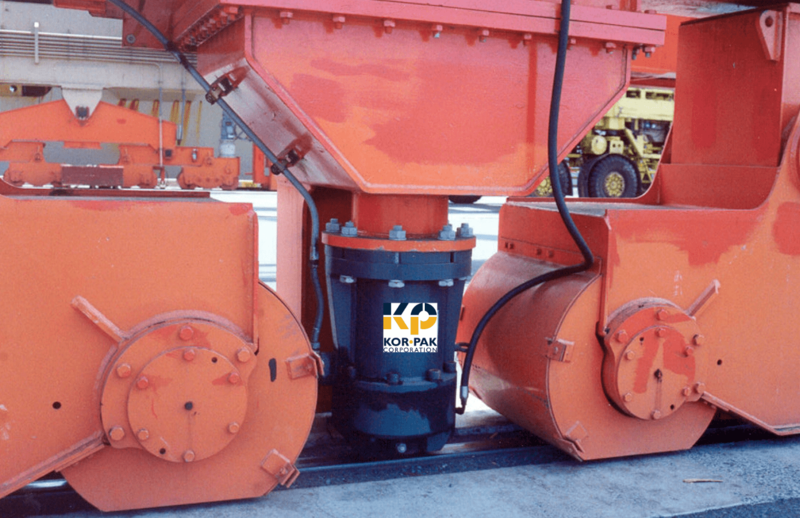 Hydraulic safety(emergency)brakes are high-power braking devices which can be wildly used as emergency safety brake on low speed shafts for the lifting control and pitching mechanism of various large and middle crane、port handling machinery.They are also applied for the same purpose for mine wider,lifter,elevators,belt conveyers,cable cars ,foundry and cable cranes and so on. ►Normally closed design,safe and reliable;specially-designed disc springs applied.hydraulic driving release(type selection of hydraulic power unit see “Manual for hydraulic power unit”). ►Swift actions optionally equip with release limit and pad wear limit switch, which can realize signal indication and interlocking protection. ►Brake lining is made from non-asbestos hard material,which has high and stable friction performance,and it is insensitive to water,salt and other environmental agents. ►Excellent sealing ensure the brake long service life. ►Convenient of installation and ease of maintenance. MD series electromagnetic disk brake(hereafter called brake)is mostly installed on the motor rear,may also be on the high speed shaft of reducer.It is applicable to the wind turbine generator system, traveling mechanisms’deceleration and stop/braking of cranes and transport machinery, metallurgical mining equipment and metal rolling equipment, may also be used in the mechanical drive system for positioning and the power failure protective function of the elevator ,ladder,machine tool,chemical industry, construction,package printing,textile and so on. ■Normally closed design : spring applied , electric released,safe and reliable . ■Simple structure , and easy to install. ■Quick action, reliable, and may satisfy the working conditions of high operating frequency. ■Many kinds of friction materials can be chosen, it adapts to the different operating modes. ■As needed, the product may consist of one or more friction pairs. ■With the manual release function , emergency release when the power failure . ■Protection class of type E product may reach IP66 , which may adapt to the marine circumstances, and protection class of other product is IP54. 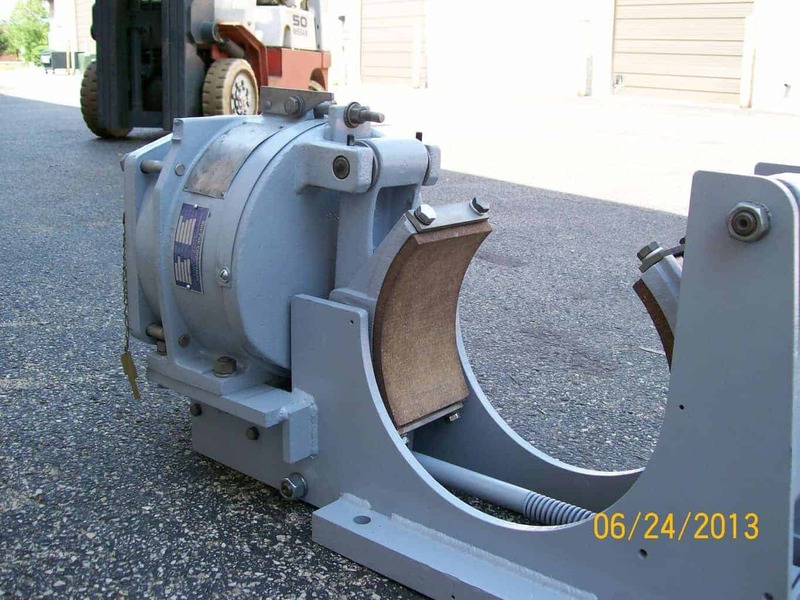 Electro-hydraulic Drum Brakes can be extensively used for various mechanism deceleration and stop/braking of various belt transport,port handling,hoisting, metallurgical, mining and building machinery. ■Interlocking shoe clearance balancing device (patented technology) and shoe auto-aligning device constantly equalize the clearance of brake shoes on both sides and make adjustment unnecessary, completely avoiding brake lining one side sticking to brake wheel. ■Brake spring is arranged inside square tube and surveyor’s rod is placed on one side. It is easy for customers to read braking torque value and avoid the troubles of measuring and computing. ■Brake lining is of card whole piece shaping structure, which is easy and quick to replace, Brake lining of various materials such as half-metal(no-asbestos) hard and half-hard,soft(include asbestos) substance are available for customer to choose. ■The equipped series of thruster asare characterized by flexible aetion and long operating life. Mainly used for storm braking in working state and auxiliary storm braking in nonoperative state for outdoor Large andmedium-sized cranes and port handling equipments. Wheel brakes are usually used on passive wheels, and brake directly. It can effectively prevent the wheel’s rollingdisplacement under the wind power. Wheel brake is a new effective and economic solution for wind-proof, which isnow being put into widespread application. If the brake is applied on high speed shaft of drive wheel, it will be moreeffective and economic. ●Normally-closed design, safe and reliable; disc spring set and the centralized release of hydraulic station. ●With limit switch and interlocking protection function. ●Brake lining is made from non-asbestos friction material high friction coefficient and it is insensitive to sea water and salt mist. ●Anti-corrosion design. All fasteners and spindles are made of stainless steel, with good anti-corrosion performance. ●Operation mode: discontinue mode，short-time action，low frequency. Rail clamps are used for storm braking in working and un-working state of all kinds of outdoor rail cranes, trolleys, winches and also the conveyers for position braking purpose. ●Dlamp body is the floatable structure, horizontal distance ±20mm, vertical distance ±20mm. ●Clamp body is the floatable structure, horizontal distance ±20mm, vertical distance ±20mm. ●High hardness indented brake surface, high friction coefficient and durable. ●Anti-corrosion design. All fasteners and spindles are made of stainless steel with good anti-corrosion performance. Mainly used for storm braking in working state and auxiliary storm braking in nonoperative state for outdoor Large and medium-sized cranes and port handling equipment. ●With limited switch and interlocking protection function. ●All hinge points are fitted with self-lubrication bearings, with high transmission efficiency, agile movement and long service life. ●With manual release function, and easy to maintain. ●It adopts Ed thruster as actuator that has excellent performance, reliable sealing and encloser with high-class protection function, and with spring resetting function avoiding the following situation: the wedge can’t reset in time because the thruster’s un-agile after power went off. ●The wedge is treated with special technique. It has high friction coefficient and excellent anti-corrosion performance. Version of Mounting：Subject to the customer’s requirement. ●Emergency safety braking on low speed shafts for the hoisting and boom pitching mechanism of various large- and medium-scale cranes, port handling machinery. ●Service braking on mine winder and coal mine lifter. ●Service braking on the various shipping windlass and winch. ●Service braking on ship crane slewing mechanism and hoisting mechanism. ●Big brake torque, more specifications to choose. ●Many kinds of ways of drive ( manual, electro-hydraulic, hydraulic power unit and so on). ●Run with few noise,act with little impact,long life, and relative low cost for operation and maintenance. ●Brake lining is made from non-asbestos hard material, which has high and stable friction performance, and it is insensitive to water, salt and other environmental agents. ●Self-lubrication bearings are installed at the various hinged points,with agile action. ●Convenient of installation and ease of maintenance. SBH series of hydraulic power unit are mainly applied to the compatible drive for single body SB, SBD series safety brake and for other single function oil cylinder’s compatible drive as well. Majoy hydraulic components are imported famous brands. Main valves with accumulator and pressure relay are leak-proof ball valves and have certain pressure compensation funtion. With Hand pump which can be used as emergency power supply at power off or maintenance. 2.Self-lubricating bearings are equipped at main hige points, which bring high efficiency of transmission,long performance life and unnecessary to lubricate during the course of operation.The closing time is short(onlu 0.25-0.4s). 5.Brake linings are plug-in style,which are easy to replace.Brake linings of various materials such as power metallurgy and semimetals(non-asbestos),which are suitable for different working conditions.Equipped with our new thrusters:Swift reaction and having long life-span.